At Klahanie Service Center, our exhaust services (excluding the muffler) are guaranteed for 12 months or 12,000 miles (whichever comes first)- for standard parts and labor. *We offer a Lifetime Limited Warranty on parts for the original buyer. Please consult with our certified technicians for complete details. “Lifetime Limited Warranty” must be included on the invoice. 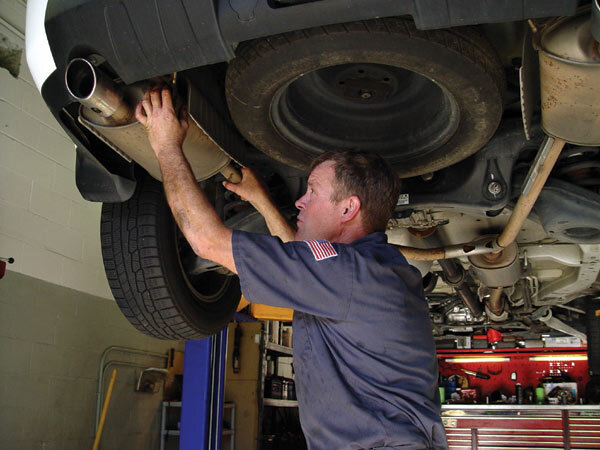 Why are muffler and exhaust services so important for my vehicle? When do I need to have my exhaust system inspected? Certain malfunctions in your vehicle’s exhaust system could lead to toxic carbon monoxide leaking into your vehicle. Some of these issues may include: pinholes, loose brackets, catalytic converter problems, stuck valves, etc.